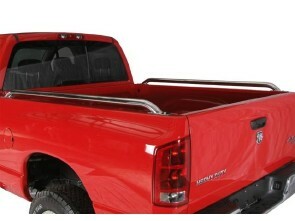 Raptor truck bed rails are constructed of 2" round steel tubing and easily bolt on to your truck's bed rail. They feature stainless steel construction for a fully polished, mirror finished look that won't dull or rust. 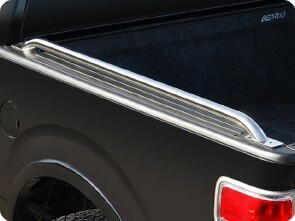 All Raptor truck bed rails feature a one piece bar with welded and fully polished foot plates for a seamless fit and finish. Padded rubber mounts protect your vehicles paint finish and seal out moisture. Backed by a Raptor Lifetime Warranty.304 prime stainless steel polished to a mirror finish.